Company ID which you can locate by following this path: Admin -> My Company tab. API token. 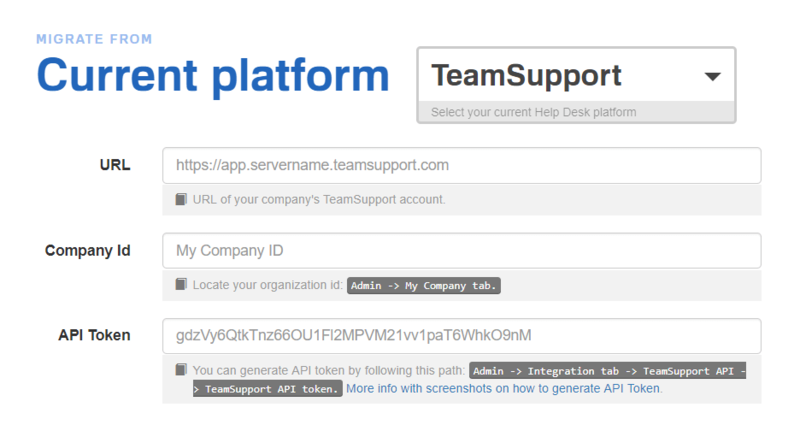 To generate it, go to: Admin -> Integration tab -> TeamSupport API -> TeamSupport API token.